I think that most of us can agree that a good summer beverage can be a great summer beverage with a little help from Mother Nature. Traditional summer coolers like mojitos, punches, and of course, sangria, all include some fruit, vegetable, or herb component to truly create a refreshing drink. Berries, citrus fruits, and cucumbers all play important roles as flavor enhancers in summer cocktails, just as basil and mint help up the ante in seasonal mixology. While trying to decide what to do with a just-slightly-past-its-prime watermelon recently, I stumbled across some wonderful recipes for melon sangria, as well as a few fascinating wives tales about the fruit. First of all, I must admit, I never considered how satisfying a combination of red wine and watermelon could be, especially in the middle of summer when red wines are typically considered too robust to enjoy. Instead of weighing down the fruit, the ingredients complimented each other marvelously, and the result was a delicious spin on a traditional sangria recipe that seemed to get better and better as the ingredients married together in my fridge. 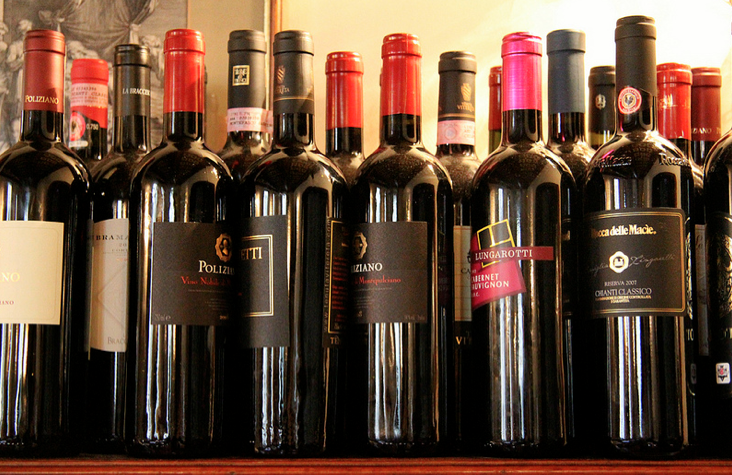 *1 bottle light to medium-bodied red wine of your choice (Italian table wines work well, but choose something you’ll enjoy!). You can also substitute the wine for a blended cranberry juice for a kid-friendly version. 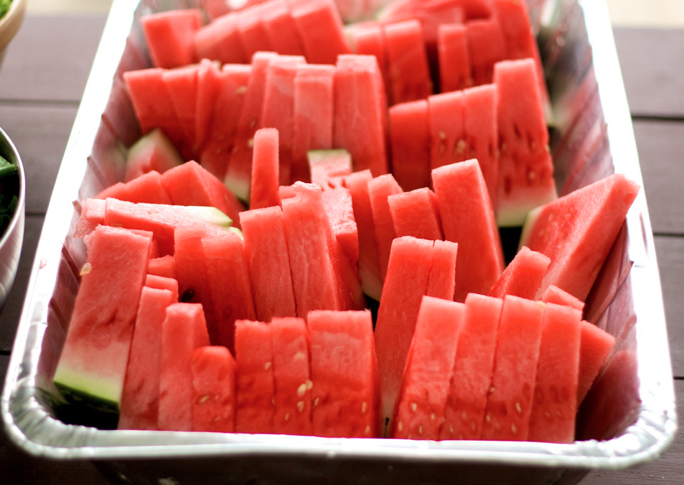 If you have a food processor or blender, blend about ½ of your watermelon until mostly juiced. If not, simply use a large spoon to mash the chopped fruit. Next, combine all of your ingredients in a large vessel, cover, and chill for at least 2 hours before serving. The longer your ingredients have to mix, the more flavorful your sangria will taste. This recipe allows you to tailor it just the way that you like. If you don’t want a lot of watermelon chunks, blend the fruit a little bit longer; if you prefer a fuller red wine, don’t hesitate to use one! LeNell Smothers of Slashfood explains, “There’s no lethal chemical reaction with watermelon and alcohol. 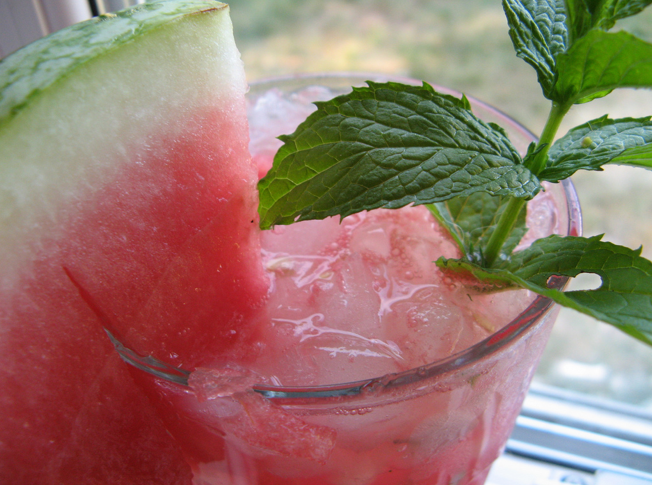 In fact, mixing watermelon with some types of alcohol results in summertime bliss,” of the deadly watermelon myth, and I would have to agree. This entry was posted in Community Gardens, Home Gardens, Public Places, Rooftop Gardens, tips and tagged Cocktails, fruit, myths, produce, recipes, red wine, sangria, seasonal produce, summer, summer beverages, summer watermelon sangria, watermelon, wive's tails. Bookmark the permalink.